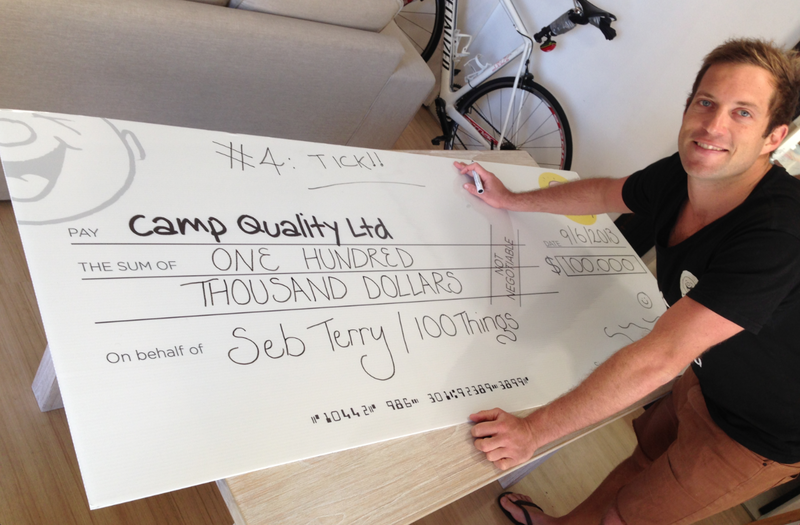 Number 4- Raise $100,000 for Camp Quality- TICK! At the beginning of the 100 Things journey I decided that I wanted to raise money for a charity and so it quickly found it’s way in the form of an item onto my list. The embarrassing truth was that I’d never donated to a charity before hand and I simply wanted to change this! With this goal being somewhat of a foreign concept to me, I thought that raising money for a kid’s charity would be worthwhile; I’d always enjoyed working with kids as a surf instructor years before, and so armed with limited knowledge of what they did specifically, I soon after approached Camp Quality knowing that they worked closely with children in some way, shape or form. Thankfully they agreed to allow me to raise funds for them and the story then began. Unsure of how I would actually raise the suggested $10,000 target , I soon found that the more people heard of my journey, the more donations would be offered to me via email. It seemed that people wanted to support the antics of a man and his list! Surprised and overwhelmed, I decided to add a donation button on my website and so on each occasion that I was invited onto TV, radio or print to share my story, I always remembered to share the fact that people could donate to Camp Quality if they wanted to support me. To cut a long story short, what started as a few small donations very quickly gained momentum into what became an army of people world-wide all generously donating money, throwing fundraising events and encouraging others to do the same. With the $10,000 target being reached within the first year, it seemed silly to stop there and so I raised the target to $100,000. With more media ,and surprisingly the start of what is now a popular speaking program that I run, I decided to donate 10% of anything I made to Camp Quality too. From receiving a $1 donation to receiving an $11,000 donation, I’ve seen a side to people that has reinforced my faith in humanity- it’s been amazing. 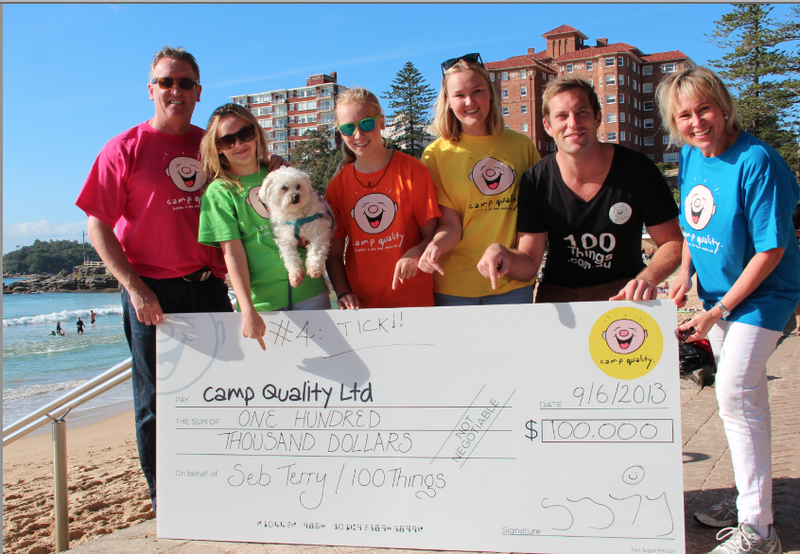 On June 9th, 2013 at Manly Beach (coincidentally on the 4th birthday of 100 Things) I was able to pass over a special cheque to a wonderful family from Camp Quality. With Mum and Dad; Sandy and Robert, accompanying their three lovely daughters Ella, Molly and Sami, this moment represented one of the proudest moments of my life. After four years of living my 100 Things dream, I had finally reached my target and was officially able to tick off number 4 from my list- Raise $100,000 for Camp Quality- the charity bringing happiness to kids and families affected by cancer. As an example of how this money will be used, Sami was diagnosed with Leukemia at age 3 and Camp Quality supported her and her wonderful family through the stages of cancer. Arming the family with optimism, support and laughter, the McIndoe family seem to smile a lot. Although I was the one to hand over the cheque, I have to say a big thanks to everyone who contributed to this moment. 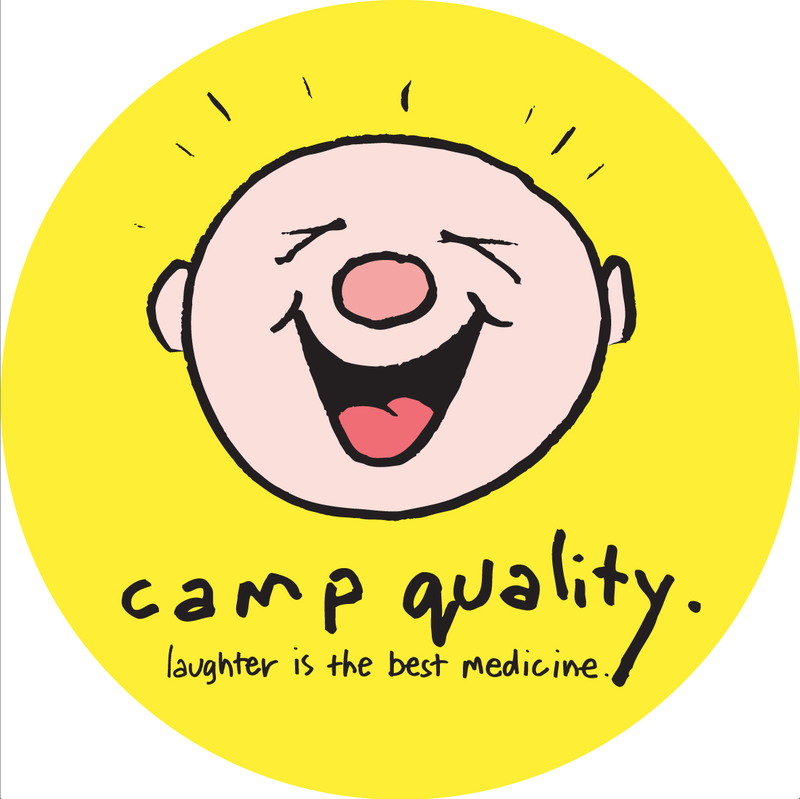 I can’t forget to thank Camp Quality either who over the years have shown me what the value of caring means. We live in a wonderful world and I’m looking forward to see what happens next with the charity-side of this journey. 100 Thing… What’s on your list?